The agency will continue its work with the scheduling platform following the successful launch of Doodle's inaugural Meeting Report and an initial six-month press office campaign. Common Industry will work on the second Doodle Meeting Report, set to launch early 2020, and execute creative press office campaigns throughout 2019, designed to drive brand awareness and signups. The 2019 meeting report saw over 50 pieces of coverage in over 10 countries. The agency will also deliver strategic corporate and consumer communications for the brand. Doodle enables teams from enterprises large and small to focus on their real work by making time-consuming tasks like scheduling and organising meetings fast and easy. 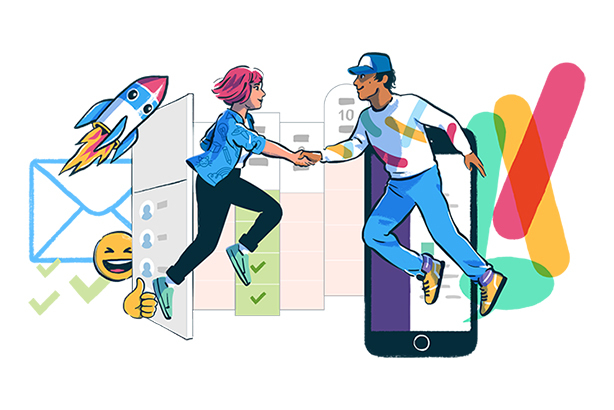 The world’s largest scheduling tool has more than 200 million annual users and 30 million Doodles were created on the platform in 2018. Liam Fay-Fright, CEO and founder of Common Industry, said: "We’re delighted to continue our partnership with Doodle. They’re a globally recognised innovator and our work showcases their excellent products in key territories, including the UK and US." CEO of Doodle, Gabiele Ottino, said that their partnership with the agency had made a valuable contribution to the business. "Their work has helped us raise brand awareness through global research, senior team profiling, and webinar hosting," he added. "The team are highly motivated and show a clear understanding of wider strategic thinking in everything they do."